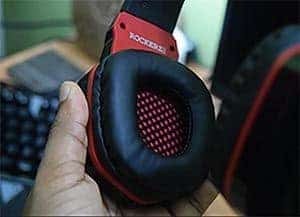 I use lots of Boat headphones & earphones previously and I loved them Now recently Boat Launched Boat Rockerz 510 which is very glossy and flashy completely made of plastic but offers great features at Budget Price So, is this the headphone which you are looking for Let’s find Out. Boat Rockerz 510 is set in between Boat Rockerz 400 and 600. Boat Rockerz 510 is completely made of plastic just like Boat Rockerz 400 but it’s little more comfortable to wear and sound Quality is also Improved as compare to Rockerz 400 because in this one Boat use 50mm drivers instead of 40mm. Boat Rockerz 510 has soft faux leather on the ear pads makes this pleasurable to wear. These headphones are really lightweight it weighs only 230 grams which is great for wireless headphones. It has all the buttons on the earcups like play/pause, change tracks, answer/reject calls, control volumes everything in one place. Boat Rockerz 510 has the latest 50mm Drivers. Boat Rockerz 510 packs a 400mAh Battery which will easily last you for 8 hours. It also has a Built in Mic for Voice calling and audio quality for Mic is Very decent Don’t expect much. 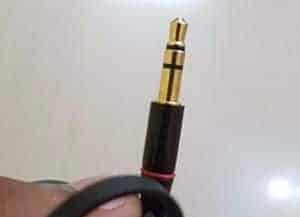 You can also Connect these headphones with wire if your headphone battery is dead. Rockerz 510 uses Bluetooth 4.1 for Connectivity. 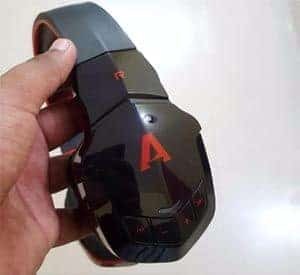 So, How’s the Performance of these headphones in real life. I’m using these headphones for almost a week and my experience is nice with these. Very easy to pair with any smartphone or PC. Comfortable to wear due to soft cushions and its very light weight. Battery Life I got with these headphones is 7 to 7.30 hours which is good but the mic on this one is not as good as boat rockerz 600 I don’t recommend these headphones for voice calling. Now talk about Build Quality the material used by Boat is very average overall you feel that build quality is a bit cheap as compare to very premium Boat Rockerz 600 which costs almost the same. Audio from Mic is very low. So, if you want loudness and bass then you can consider Boat Rockerz 510 but if you want premium build quality and Overall nice experience I recommend Boat Rockerz 600. Just Personal Recommendation must go for Rockerz 600 which offers the best value for money. Please like Share this article on your Social media account and don’t forget to Subscribe Our Newsletter to get latest Updates.